Protecting your hair from heat is all the rage these days, but some people wonder if it really makes a difference, and if so, what products actually work. My opinion - YES, it does make a difference, and YES, there are some products that work better than others. 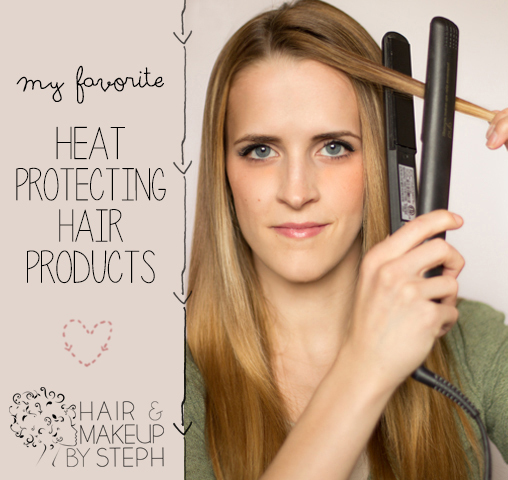 Here is my list of favorite heat protecting products that actually work. Spray on dry hair before you flat iron. 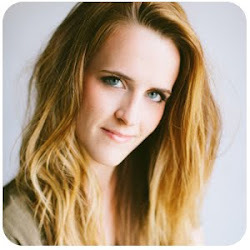 Some thermal sprays that are used on dry hair can make your hair feel greasy. What I like about this product is that it keeps hair frizz-free but also doesn't weigh it down or leave a residue. Instead it has a weightless, shiny finish, all while protecting your hair from heat. Spray on damp or dry hair before you style. I like that you can use this product on damp or dry hair. It helps protect your hair from heat damage while adding shine and control. In salons or at Ulta. Apply to damp hair before you blow dry. Focus primarily on the mid-shafts and ends. This is a product I use on almost every client because it works well on all hair types. It not only protects your hair from heat, but smooths and softens your hair, doubling as a styling lotion. Though it is a spray, I like to spray it into my hands and then apply it to my hair like a cream. 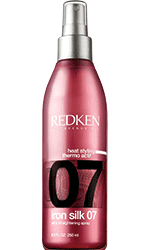 This product protects your hair from heat up to 428 degrees, helps prevent breakage and leaves your ends looking healthier than they did before. It instantly makes my hair feel refreshed, plus keeps it healthy. A good product all around! Apply to the ends on damp or dry hair. This serum is on the thick side, so I like it for thick and coarse hair. A little goes a long way, so if you have thick hair this serum will last you longer than others. It protects hair from heat up to 428 degrees an also speeds up drying time. Plus it smells amazing. Apply to damp or dry hair. A little goes a long way. 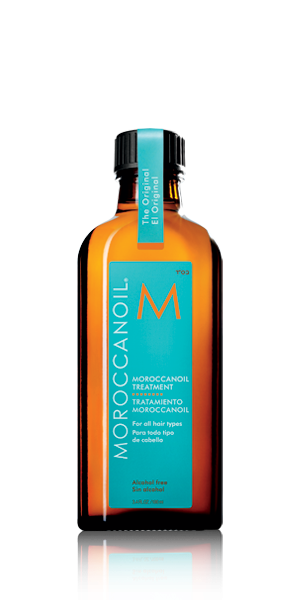 Moroccanoil really is worth all the hype. It's more than just a serum, it protects your hair from heat and helps restore damaged hair. It smells so good, and one bottle will last you forever, making the higher cost worth it. This will leave your hair silky and soft but still bouncy. One of my favorites.